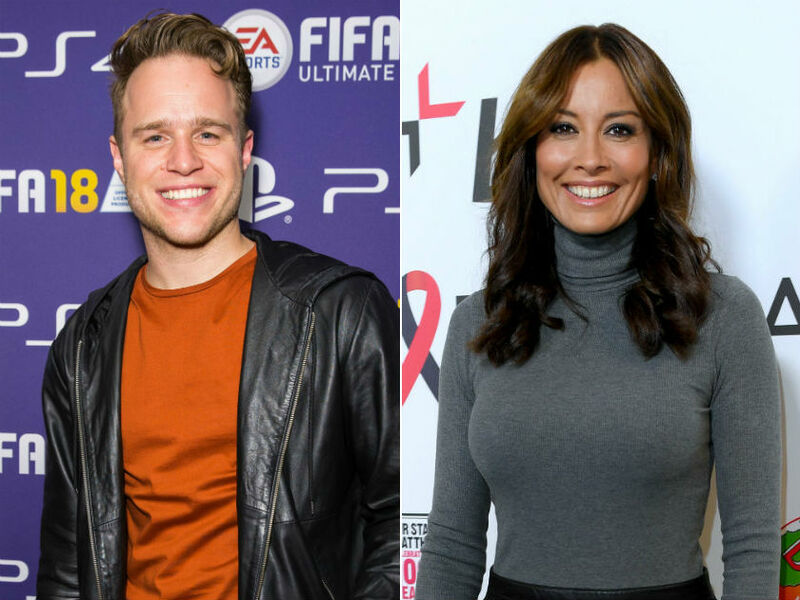 Olly Murs has had a pretty exciting few months – not only has he landed a role as a coach on The Voice but he’s also apparently been secretly dating a TV star! It’s been reported that Olly, 33, is seeing presenter Melanie Sykes, 47, after romancing each other on the low for almost a whole year, having bonded over a mutual love of keeping fit. “Mel loves a younger man and really fell for Olly when he got into shape late last year,” a source says. “They were initially introduced through a mutual friend. They started texting for ages and some of the messages ended up getting quite saucy. Ooh! The pair are said to have enjoyed quiet date nights at each other’s houses, with both keen to keep the budding relationship under wraps. Mel has exchanged a bit of social media banter with Olly in the past and posted a photo with him in April when she went to watch him perform at London’s O2 Arena. “Not much can get me out on a Saturday night but this guy has! 😝 @ollymurs #gig @o2uk #ollymurs,” the former model wrote. He responded “Awwww thanks babe” and added a kissing emoji. Olly is thought to have been single since splitting from girlfriend Francesca Thomas in 2015, whilst Mel separated from second husband Jack Cockings – who she met on Twitter – in 2014. She also has two children from her first marriage to actor Daniel Caltagirone. Both Olly and Mel have so far kept quiet about the rumours but we think they’d make a pretty cute couple!